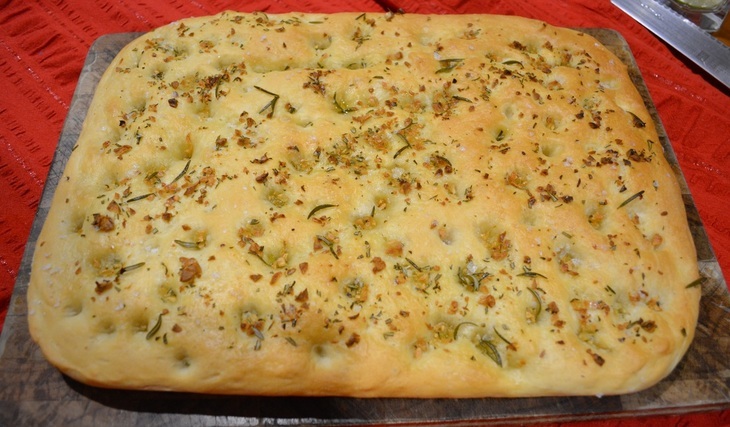 Here is a great bread recipe for you all to make. This is so easy to make, anyone can make this. And the flavour, it is seriously OMG good. I made this two days in a row now and my family are crazy for it. As soon as it hits the oven the aromas that waft through your house are truly amazing. And did I mention how easy it is. It really is so simple to make. This is the best bread I have ever made. This one rises a little so that you can actually slice it in half and make a thin sandwich out of it. Last night my husband actually split the leftover focaccia and made grilled toasties out of them, and can I say it was the best toastie I have ever had. The bread was sensational. Now I never knead by hand as it is so much easier to do it in my freestanding mixer that has a dough hook attachment. If you don't have one, you will need to knead the dough for 10 minutes until smooth and elastic. So if you have never made bread, give this a go, it will not disappoint. I know I'll be making this again and again. 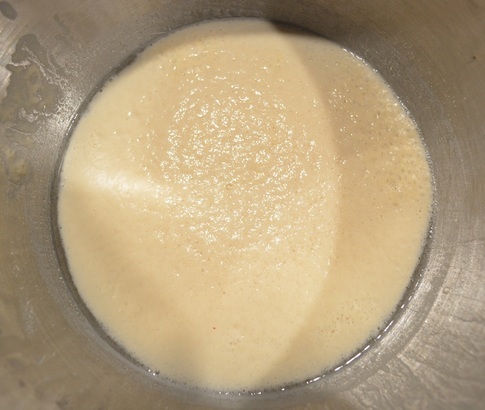 In a large bowl of an electric mixer add the yeast, sugar and 1 and 3/4 cups lukewarm water. Stir together, then leave for 15 minutes for the yeast to activate, you will know when it is ready as it will look foamy. Add in 4 cups of the flour, the salt and 1 tablespoon of the olive oil. Using the dough hook attachment, knead on slow speed for 1 minute. 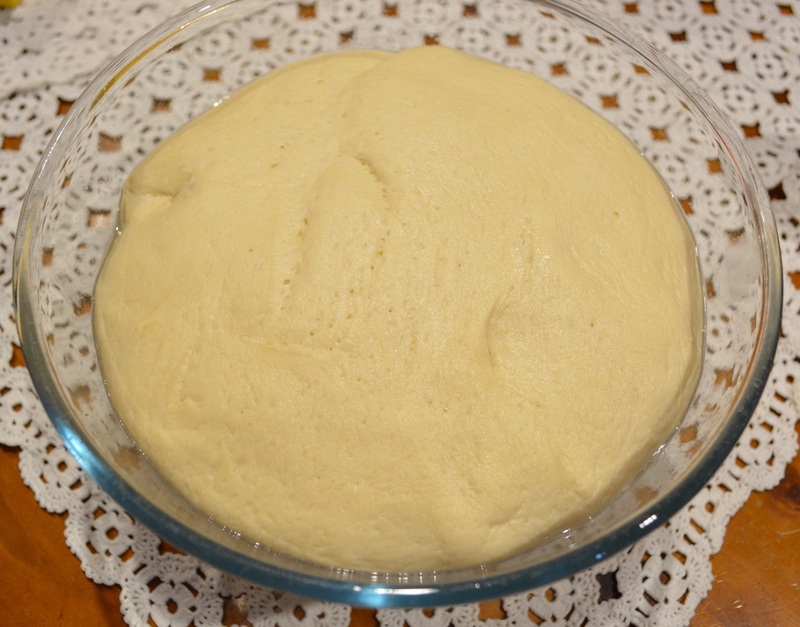 Check the dough, it needs to be a slightly sticky dough, if the dough is too sticky, add the remaining 1/2 cup flour, little by little, until it is still soft, but not sticky. Now keep kneading on low speed for 5 minutes. 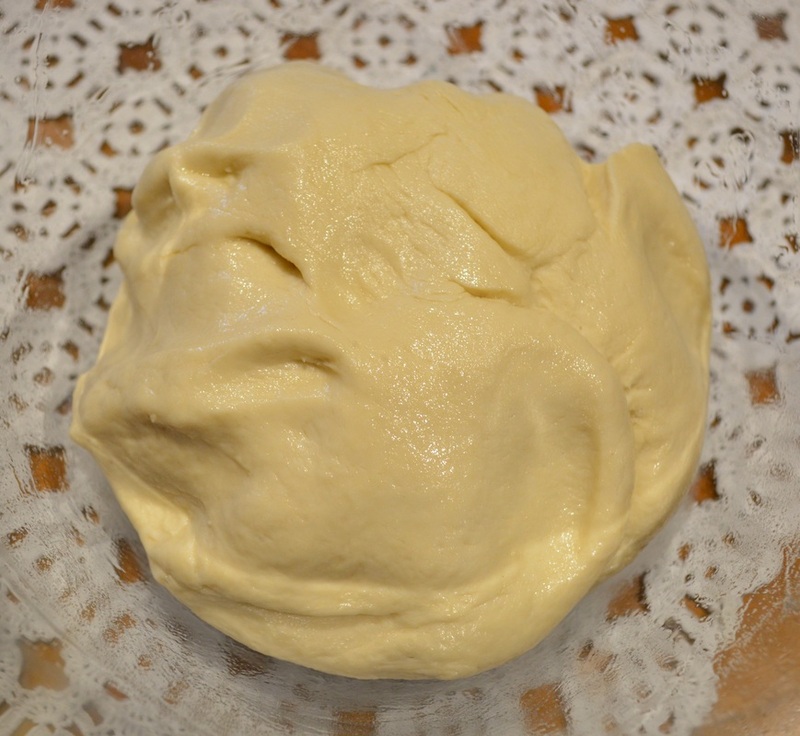 If you do not have an electric mixer, knead by hand 10 minutes. 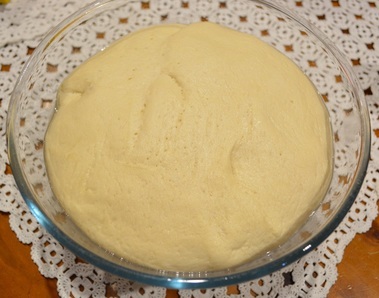 I have found if the dough is too sticky just sprinkle a little more flour into the mix. Lightly grease a large bowl with some of the extra olive oil. Add the dough to the bowl, turn it about so all the dough has a light coating of oil. 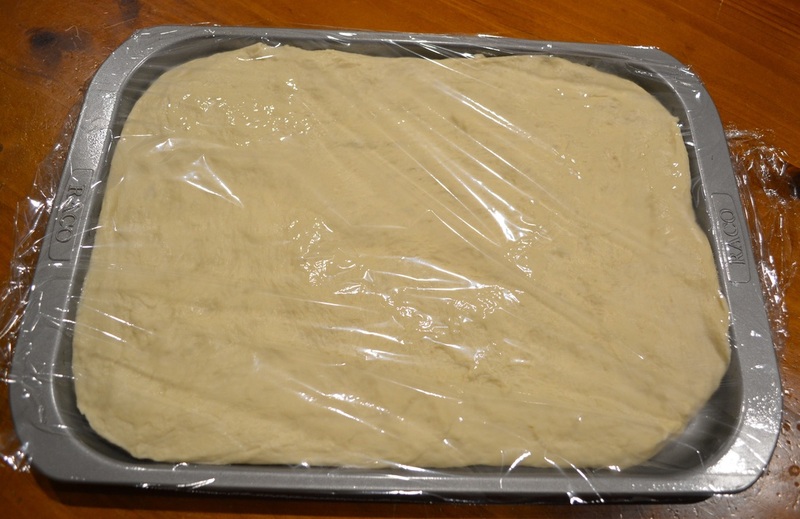 Cover with cling film and place in a warm spot for 1 hour so that the dough can rise, it needs to double in size. My kids usually now get to have some fun. Give the dough one good punch. 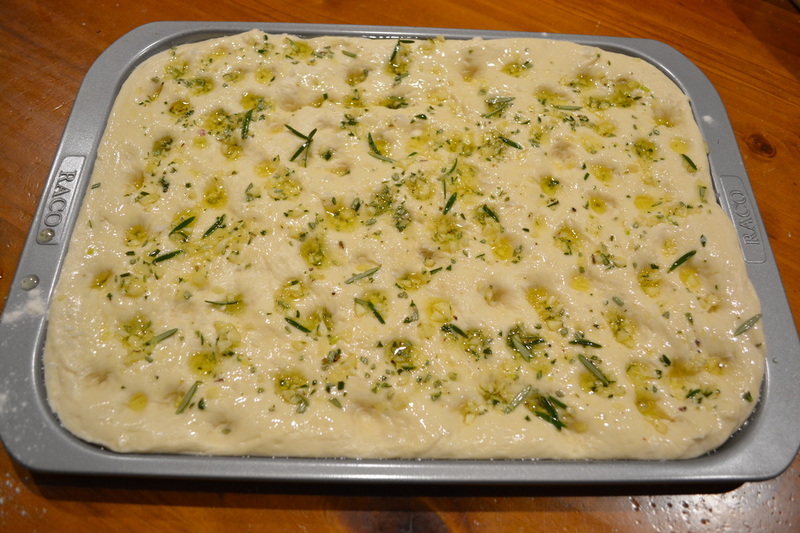 Now grease (with extra oil) a 26cm x 40cm baking tray. You need just enough oil to completely cover the base. 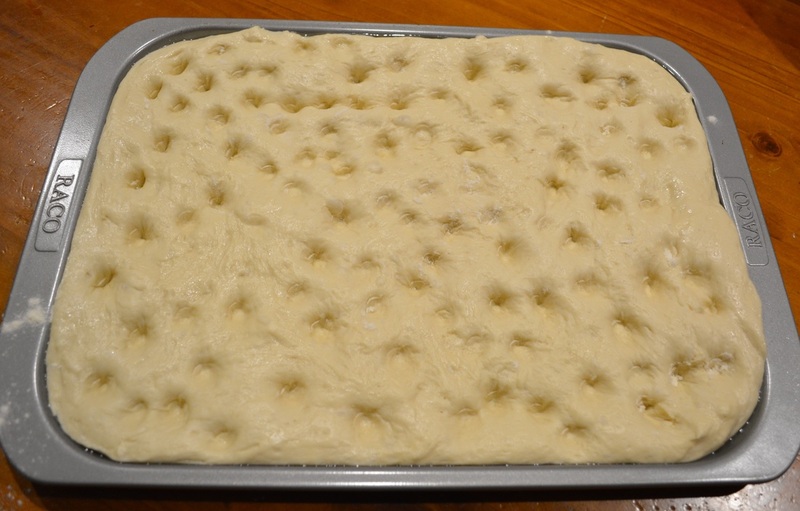 Now with lightly oiled, or lightly floured hands, press the dough into the baking tray. Keep pushing it out until it covers the base of the tray (and stays there). Spread it out evenly. Preheat oven to 190C/170C fan forced. Set your oven rack into the centre of the oven. Cover loosely with cling film and allow to rise again (slightly) for 30 minutes. Mix together in a bowl, the remaining 2 tablespoons of olive oil, the extra virgin olive oil, the chopped rosemary and garlic. Now using ever so slightly flour dusted fingers, press the dough with your fingers all over to make little cavities. Using your hands, scatter over your garlic and rosemary mixture and all of the oil, gently spread it around to cover the top of the dough. Sprinkle all over with the coarse sea salt. Bake for 35-40 minutes or until pale and golden. When you tap it, it needs to sound hollow. Allow to cool for 5-10 minutes before cutting. Serve warm or at room temperature.